So instead of bemoaning my choices and all that, I’m going to tell you what I’ve LOVED reading this year. This story is one that I highly anticipated and managed to completely charm me. This is a modern love story. It’s a technology-breaks-barriers commentary. Sometimes, it’s a hard story; awkward, uncomfortable and even painful. Penny will alternately infuriate and charm you. Sam has all the components that make a great leading man: dark, brooding, and that heart of gold hidden behind armor. I borrowed it from the library and loved it so much I promptly purchased it when I was finished. I love a good retelling probably more than most people. You won’t find me complaining about redos and reworks of famous plays, books, and movies. Basically, I’m a sucker. But when you write a YA version of my favorite Shakespeare play, “Much Ado About Nothing” you’ve just become one of my favorite authors of all time. (Ok. That’s probably a stretch.) But YOU GUYS. This was SO GOOOOOOOOD. Also, the number of fandoms she manages to weave into this story made my nerd-girl heart sing. 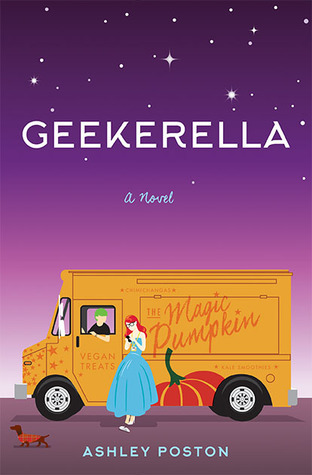 If you combined fairy tales, comic-cons, and sci-fi television shows in an adorable blender, put it on a baking sheet and pulled it out 20 minutes later, you’d have Geekerella. I love Elle’s perspective, how much she clings to the past because she’s afraid of her future. But she’s got good friends and a swoon-worthy first love to push her forward. Equally charming yet afraid is Darien Freeman. He’s a fanboy. He’s under his manager father’s thumb. His fans are CRAZY. But when it comes down to it, he’s just a boy trying to figure out how to be a man in a business that wants to make him a god. It’s all the right things about the abovementioned categories without going rogue or drowning in schmaltz. Yes, I will admit I’m one of those women. “Oh, your book is set somewhere in England and is a love story? Here. Take it. It’s all my money.” That kind of woman. But I love it when a book is layered with depth, emotion, and sometimes tears. That’s what My Oxford Year did for me. The characters grow with a tender and surprising emotional depth. The story takes turns that I wasn’t anticipating. By the end, I was as attached to Ella and Jamie as they were to each other. 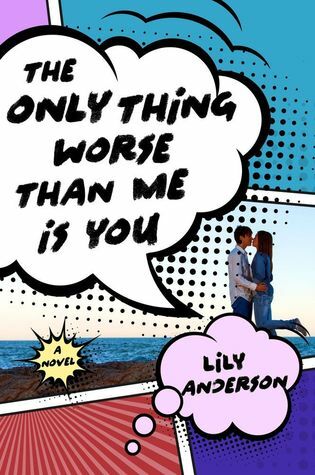 If you’re a fan of Jojo Moyes “Me Before You” (or if you absolutely despised that book, as I did), you will love this story. File this book under a story that took me entirely by surprise. Honestly, I can’t remember what ideas I had about Miss Prim when I picked up this book. I don’t know how I stumbled upon it or why we found each other. All I can say is I’m eternally grateful we did. This is far and away my favorite book of my reading year, even though it was published in 2013. There are so many categories this book fits in that I am wary of trying to categorize it. I loved it so much I made my mom and my friend Terryll read it. And then we talked and talked and talked about it. Apparently, my thirst for murder, mystery, and mayhem really took off this year. Many of the series I read this year, while ostensibly Regency Romances, were also mysteries, to my great delight. Usually, I steer away from mysteries as I either get bored or figure out the mystery well before the end. But the two series I want to share with you today are chock full of charming characters, twisted mysteries, and leave you wanting more. I love a good crime duo. Holmes and Watson. Benson and Stabler. Turner and Hooch. You get it. But there have been few partners who have intrigued me as much as Wrexford and Sloane. Here’s why this pairing works. It starts the way most of these series do. A bored rich dude in the early 1800s who is a Lord of this and Count of that has weird habits, and people think he’s a rouge. Blah, blah, blah. Then a murder happens! And this rouge is being blamed! OH. THE. CALAMITY. However, Andrea Penrose takes this whole trope and turns it on its head with a clever twist of an illustrator, political motivations, and (finally) a female lead who is neither stupid nor simpering. Both of these books caught my attention from beginning to end. Snappy dialogue. Characters I rooted for. Mysteries that were twisty enough to keep me guessing. And a dash of romance that takes TWO BOOKS (thank you for your restraint, dear author) to simmer. If you’re looking for a new read, set in the Jane Austen era, I can’t recommend this series highly enough. If there is one section of history where I am woefully inept, it is the late 1800s/early 1900s in America. Especially when it comes to the western half of our country and the rapid-fire growth during that time. So when I stumble across a series set in that time and place, I generally give it a go. Enter the Ravenwood Mystery series. This series. What do I even say about this series? First of all, thank you, Sabrina Flynn, for another fantastic character named Atticus. Atticus Riot of all names. And what a delicious sketch of a man he is. Mysterious. Inquisitive. Checkered past. Sign me up, friend. Then there’s Bel. A woman who is feisty and deceptive. Protective of her family yet afraid to really love someone else. Complex yet simple. Gosh, I love her. The series starts by highlighting Atticus Riot’s return to San Francisco three years after his investigative partner, Ravenwood, was brutally murdered by a Chinese gang for getting to close to a mystery we don’t yet know about. Flynn weaves an intricate tale and tackles issues such as racism, prejudice, and abuse with tact and skill. Good and evil are ever present, but the lines blur grey, and for a while, you’re really not sure who in these stories you can trust. I highly recommend the whole series (four books thus far) if you’re looking to sink your teeth into a historical series that is as rich with history and shaded with a satisfying yet twisty love story. So, there are some of my favorite reads of 2018. As always, I’d love to know what you’re reading. What were some of your favorite reads of the year? And are there any series or books that you’re eagerly anticipating in 2019? Share with me in the comments, or find me on Facebook and Instagram and let me know! And if I don’t talk to you before 2019, Merry Christmas and a Happy, happy, happy New Year! Wonderful list! Emergency Contact’s on my list of 2018 favorites as well, I loved it so much. Yay! It’s always fun to find others who share your book love. 🙂 What else is on your list? I cannot wait for the 2nd book to come out from Elin Hilderbrand in her new Winter In Paradise series. Although I am sure once I read the 2nd book I’ll be dying and waiting for the 3rd! Talk about leaving things off with a cliffhanger! Haha. I love when you find an author who connects with you on that level. Series are always so happy when they’re well done!